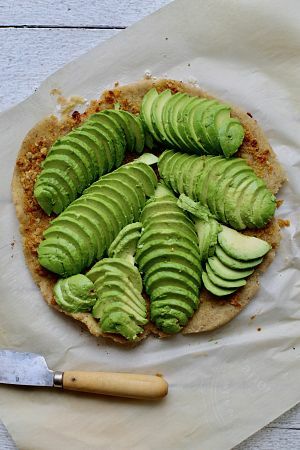 The avocado is one of those crowd-pleasing ingredients. 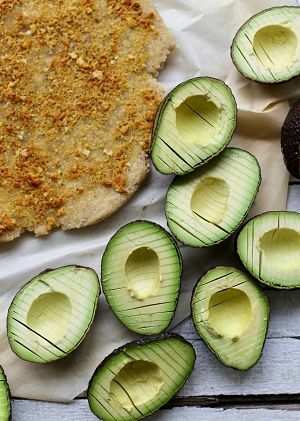 Who doesn’t love avocado? Answer: no one I am aware of! 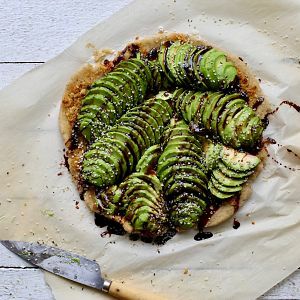 When choosing an appetizer to make this holiday season, consider this avocado flatbread. It’s the perfect party dish for several reasons. First, it’s easy to make and only requires a few ingredients. Second, it’s easy to eat. You and your guests won’t even need a napkin. And third, it’s rich (with the ‘good kind of fats’). Party food should feel indulgent, right? And lastly, it’s pretty. 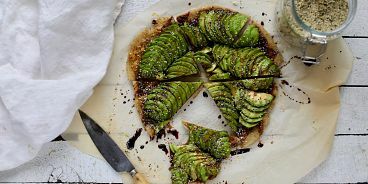 Avocados always help make an eye-catching dish for the party’s food table. 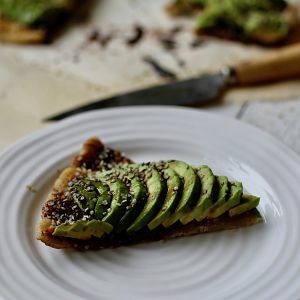 Hope you enjoy this month’s Avocados From Mexico recipe! View last month’s Avocado Sushi Roll Cake recipe here, and October’s Chocolate Avocado Cream Cups recipe here. Place your flatbread or pizza crust/rolled-out dough on a parchment lined baking sheet. Preheat oven to the temperature denoted on your pizza crust/dough packaging. In a small container, combine olive oils, garlic, nutritional yeast and salt & pepper. Shake well. With your hands or a brush, lather your dough/crust with the oily spread. Bake until golden (or see flatbread/pizza crust package instructions). When your base is done baking, remove from oven to let cool. Time to prepare your ripe avocados. Slice them vertically and remove the pit. Make lengthwise incisions about 5mm apart (see image above). Use a spoon to remove sliced avocado halves. Keep them whole, and with your hands, gently fan the slices out and add them to the flatbread. Continue this step until your flatbread is covered. 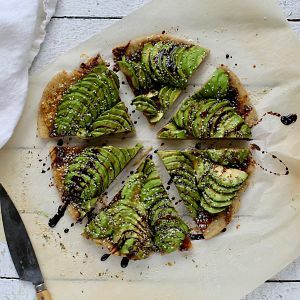 Garnish your creation with a thick generous drizzle of balsamic reduction, a sprinkle of hemp hearts and some sea salt. Slice up into thin slices or squares and serve.